A rabbi has been shot in a serious assassination attempt by a Hamas terrorist . The terrorist is now dead from a shootout with the police and is a martyr according to the Arabs. The rabbi is in critical condition. All he wanted was the right to pray on the site where our Temple used to stand. The Arabs won't allow even a slight movement of the lips, thinking the person is praying. If this is seen, he is arrested. 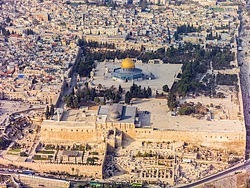 Though all of Jerusalem is Israel's capital, this site, the Temple Mount site on Mt. Moriah, is taboo to Jews as a place to pray through Moshe Dayan's decision at the end of the 1967 war in keeping peace with Jordan. Now, Friday has been declared "A Day of Rage," as if this attack wasn't enough for the Arabs. They've been rioting for several weeks as it is in Jerusalem. They pick on Friday, their day of rest and prayer to rage. Friday evening is the start of the Jewish sabbath and Friday in the United States is Halloween, the night of trick or treaters out to get candy. It is Fatah, former PLO, who are led by Mahmoud Abbas that declares this day one of rage. They even call on their fighters, yes, they do have fighters, to defend Al-Aqsa. This is referring to the Mosque of Omar, aka Dome of the Rock which was built on the Temple area of Jerusalem by the Caliph Abd el-Malik in the 8th century CE. El Aksa, which in Arabic means the farthest from Mecca and this site supposedly marks the site of the legendary flight of Mohammed from Mecca to Jerusalem on his flying horse. Abbas also calls for aid "OCCUPIED" Jerusalem. They're not as aware of facts like Jordan's King Abdullah, who knows that Jordan lost the War of 1967 and thus lost land that Abdullah I had taken illegally. Jerusalem is again in the hands of Jews which their king David (1010-970 BCE) had built. In fact, it's called the City of David. Palestinian Arabs lived in Jerusalem from 1948 to 1967, 19 years without Jews around. Jews have lived there for over 3,000 years minus 19 years. Well, you have to say that they are persistent if nothing else. Once they start a fable, they stick to it. They don't want to be confused with the facts. 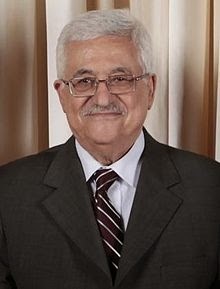 Abbas is calling for his day of rage big time. The announcement was published by the Fatah Mobilization and Organization Commission today. The Day of Rage is to happen throughout Israel and in countries which are home to refugees. They are to express their opposition to ANY attack on the holy places and foremost among them is the Al-Aqsa Mosque. They consider desecration of Al-Aqsa as a declaration of a religious war against the Palestinian people and the Arab Islamic nations. All this is read into their minds from some Jews who just want to pray there but haven't been allowed to do so, even by their own Israeli government. How terrible! Praying! There hasn't been any act of aggression to desecrate any mosque in Israel. It's what they perceive to happen. It turns out that what they would do to Israelis they see and think that this is in the works by Israelis. They don't get it that we don't do things to others that we wouldn't want to happen to us. It's our Golden Rule. It's Judaism in a nutshell.